M.U.D. or Mod Update Detector is a "new" mod that I am currently (re)developing*. The basic Idea of the mod is that it will search through your currently installed compatible mods and notify you when a new version is ready to download. 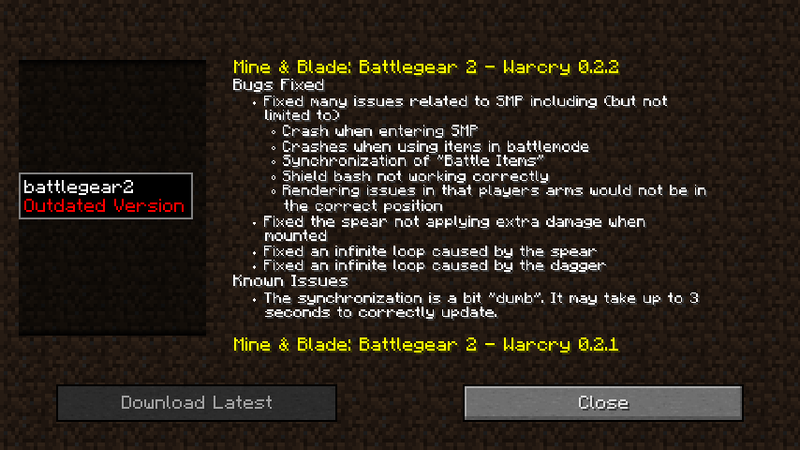 Not only will it notify you, but it will also give you the ability to download the new version of the mod in game. Furthermore I plan for this mod to be a little bit of a proof of concept for a process for bringing continuous integration to the minecraft modding community. The plan is to set up a process where after a single push to github, a open source tool will build the mod and deploy each snapshot. Optionally a release can also be deployed. This process coupled with itself MUD should automate the entire process of building, deploying, releasing and downloading mods. * I have actually had a similar system used in Mine & Blade Battlegear for quite a while. MUD will run in the background and check for updates of all compatible mods. If out of date mods are found, MUD will notify the player. At this point the player will be able to bring up the MUD display, read the changelog of the mod and download the new release. 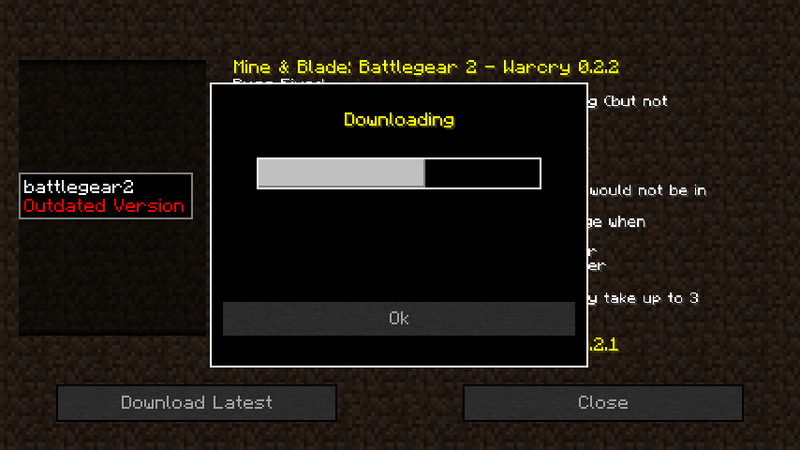 After minecraft has been restarted the new version of the mod will be loaded. 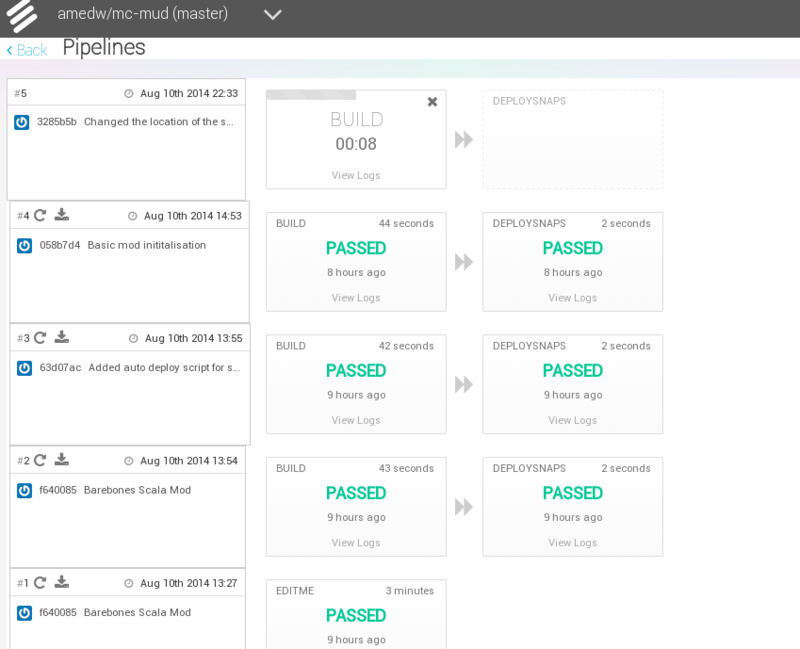 The idea is to make deployment as easy as possible after the process has been set up. I had a bit of time where I couldn't use my main computer, so I knocked up a small app to download the snapshot builds here.